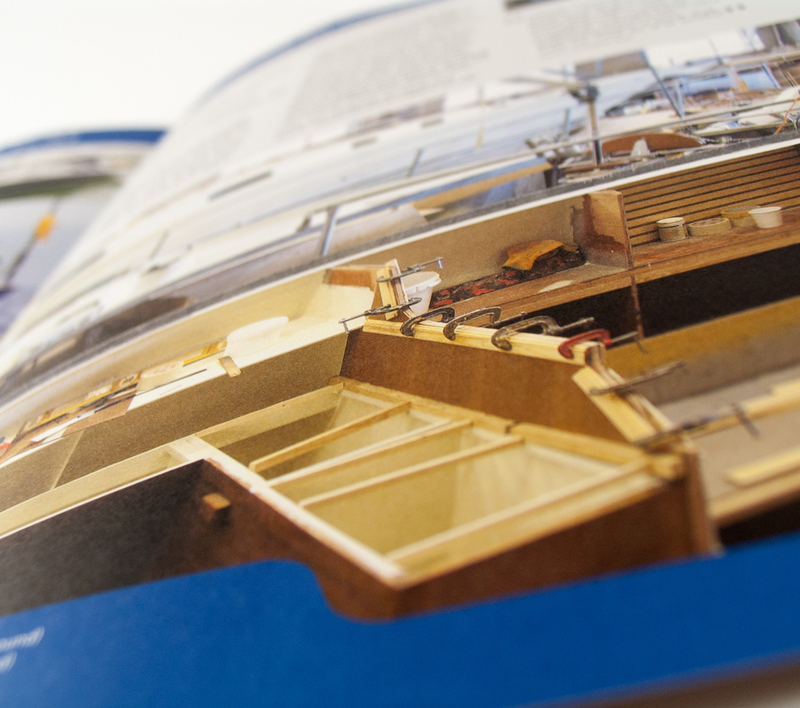 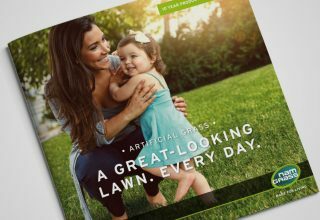 The Jeremy Rogers brochure was designed to inform existing and potential clients about the impressive history of the company as well as to pitch for business. 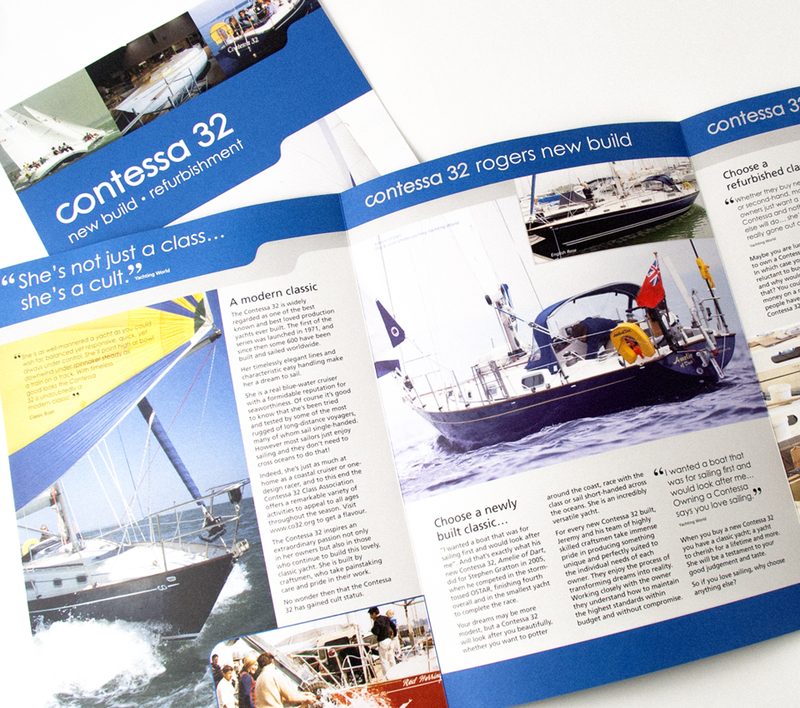 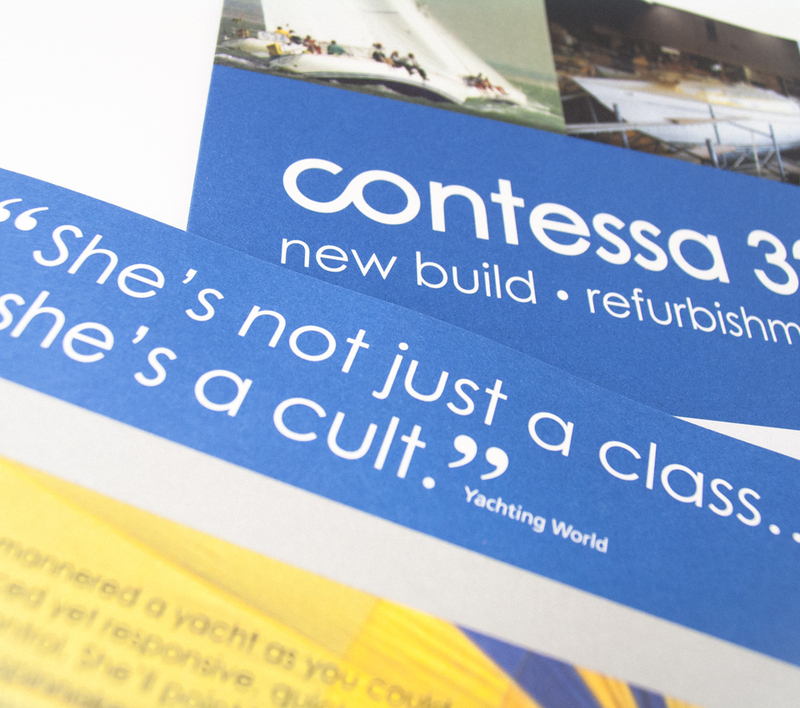 The company builds and refurbishes the highly respected Contessa 32 yachts. 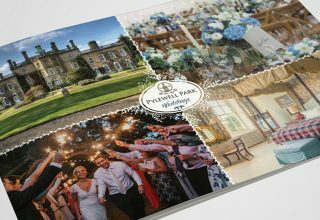 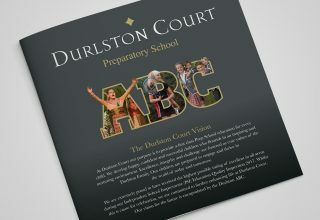 The brochure was printed on a very nice uncoated stock, Think 4 Bright, which has a lovely texture whilst keeping the colours very vivid.